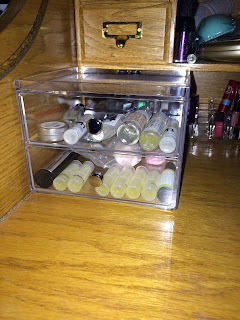 Measures 6.5" x 7" x 5"
I love this makeup drawer! 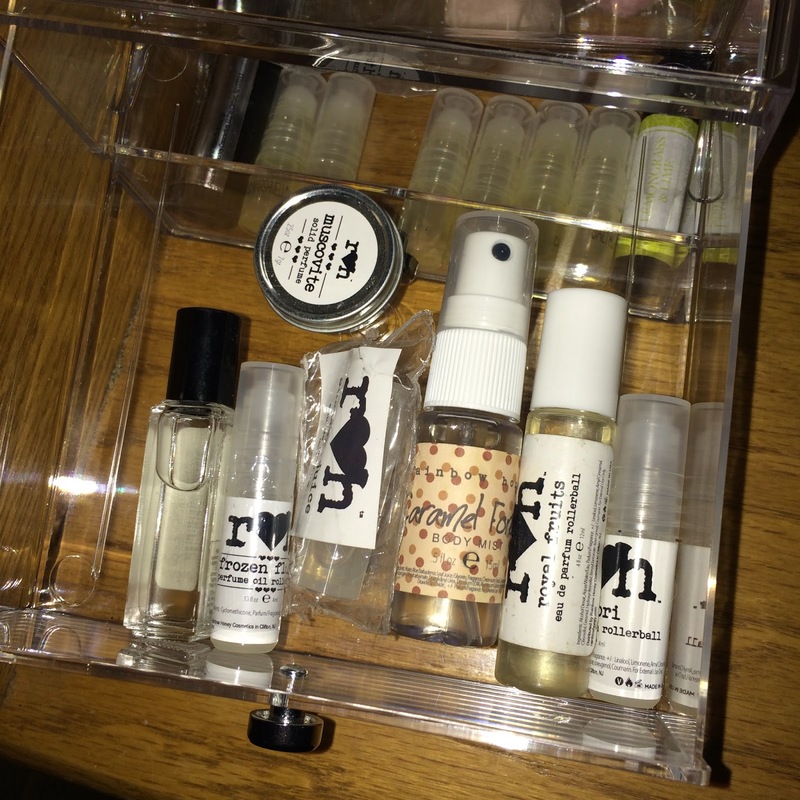 I am currently using it to store my cuticle oils and balms in the bottom and perfumes in the top drawer. I have a ton of cuticle balms all over the house so I am gathering them together in this. I may change it up I am not sure. I am considering moving in my single eyeshadows into this instead of perfumes and cuticle balms. 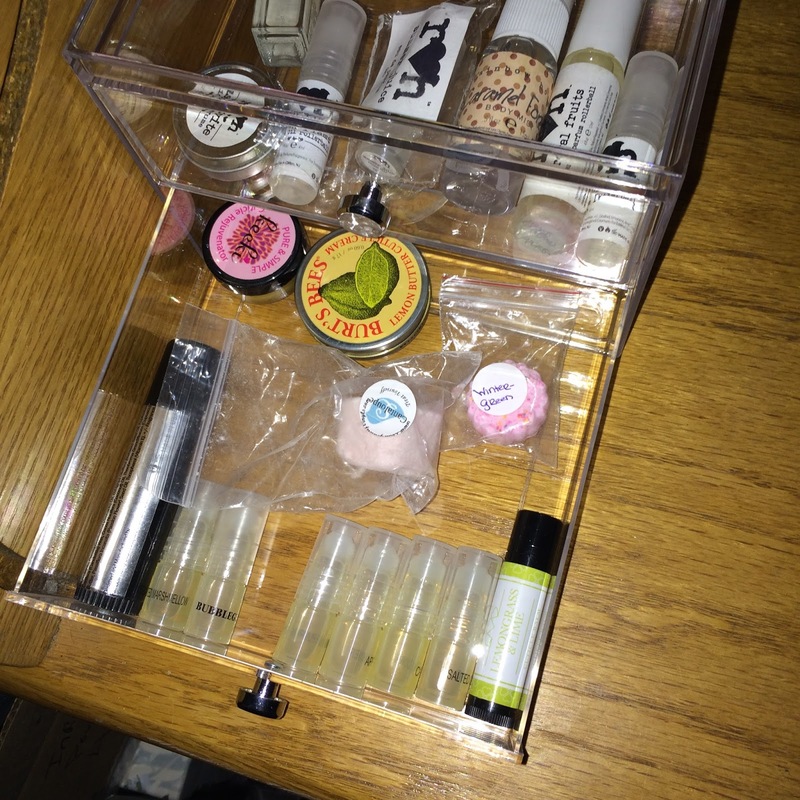 The drawers roll in and out easily and don't get stuck. It has a nice lipped top adding some extra space storage wise. 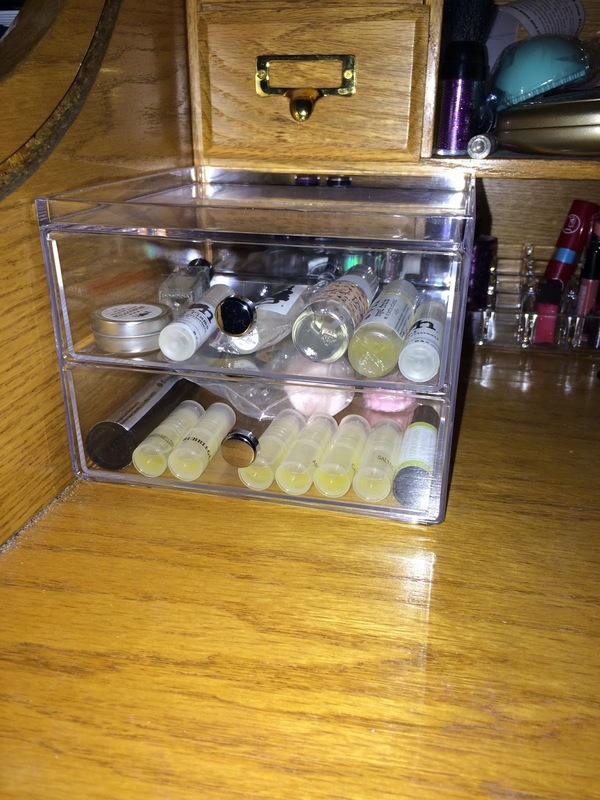 I may end up putting the balms on top and my milani shadows in the drawers. So many options and choices! I love them and Want more to add to my collection. 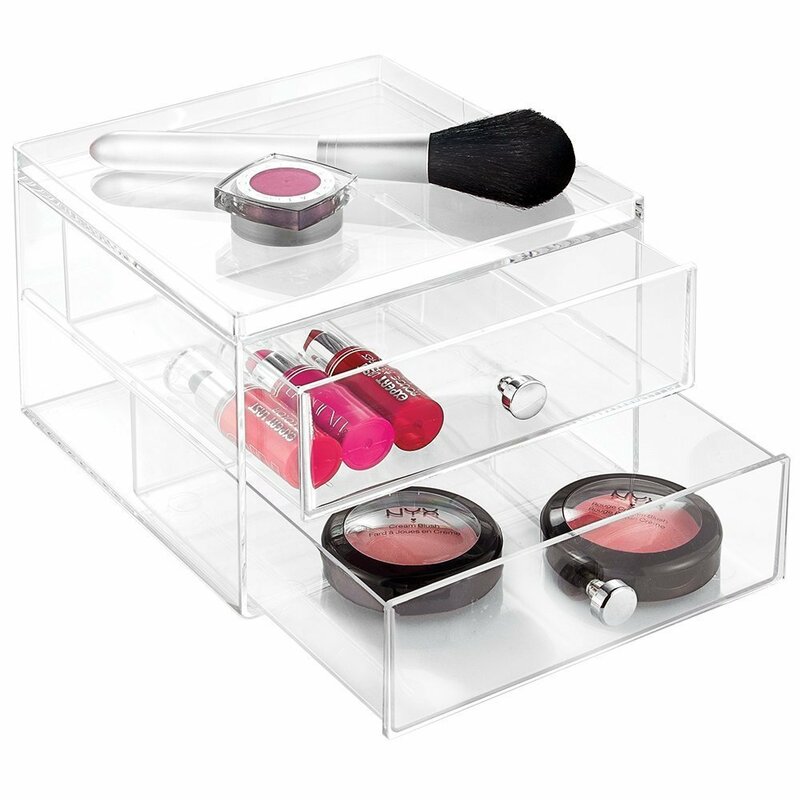 Great for more than just makeup this would be great for office supplies too.